I am a GP locum in Gloucestershire, England. I’ve had a long term interest in preventive medicine. Having Type 1 Diabetes myself, I eventually discovered and was strongly influenced by the book ‘Richard Bernstein’s Diabetes Solution’. I converted to the Ketogenic lifestyle 4 years ago which I feels has positively transformed my diabetes management. I am a founder member of the Public Health Collaboration, which is a charity set up to promote a real food lifestyle. I collaborated with Diabetes Digital Media to produce the ‘Type 1 Program’, which is a digital platform to enable people with Type 1 Diabetes to safely transition to lowered carbohydrate diets. Like seemingly everyone with type 1 on a low carb lifestyle I have written a blog on running and Type 1 diabetes. This was primarily to explore the potential and safety of nutritional ketosis during exercise with Type 1 diabetes. Last year, I completed a 5 week run covering over 700 miles on 9% carbohydrate with no issues whatsoever. 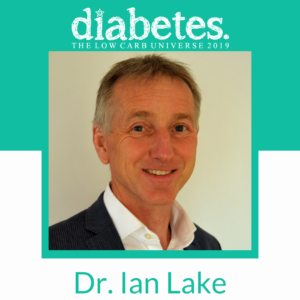 Check out Ian’s interview with Diet Doctor here!